We all know that there had been hype about the Galaxy S10 lineup for many months. The series is in the pipeline of rumors and is one of the highly anticipated series by the company till date. Samsung always launches its flagship smartphones in two processor variants. Same is the case with Upcoming Galaxy S10. The flagship phone will come in two processor variants. One will be powered by Qualcomm’s Snapdragon 855 Chipset while other will be powered by Exynos 9820. Samsung will launch the phone with Qualcomm’s Snapdragon 855 in China and the US. On the other hand, it will launch with Exynos 9820 in Europe. 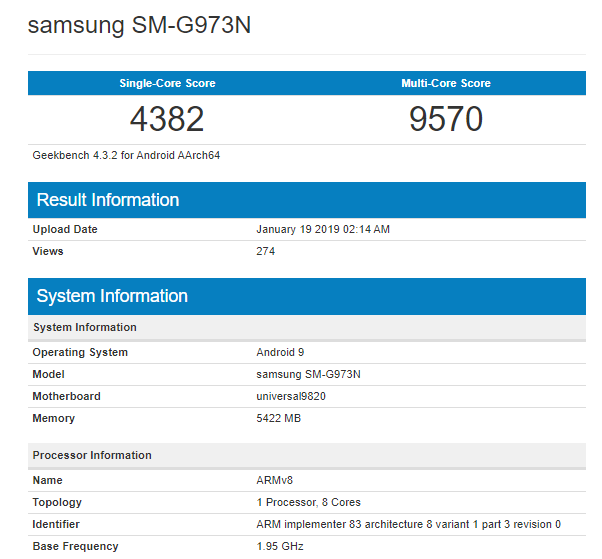 Recently, Galaxy S10 with Exynos 9820 was spotted at Geekbench. The“Samsung SM-G973N”, the regular Galaxy S10 runs Android 9 Pie and packs 6 GB of RAM. According to the scoresheet, the Exynos 9820 has a base frequency of 1.95GHz. Furthermore, the device scored 4382 points in the single-core test and 9570 points in the multi-core test. Let’s have a look at the scoresheet. According to the previous reports, the upcoming Galaxy S10 will have 3500 mAh battery. It will have 500 mAh more capacity as compared to the previous Galaxy S9. The Galaxy S10 will come in various variants. In addition to that, Sprint’s Galaxy S10 will work on its 4G LTE network and will also support 1.9 GHz spectrum and 800 MHz spectrum together with other LTE bands. According to rumors, Samsung will launch the Galaxy S10 top-end model with the other three models at an event in February 2019. The 5G variant will launch after the public debut of 5G networks. This year, the Galaxy S10 will be available in several variants, from a more affordable option to the absolute top-end 5G variant. 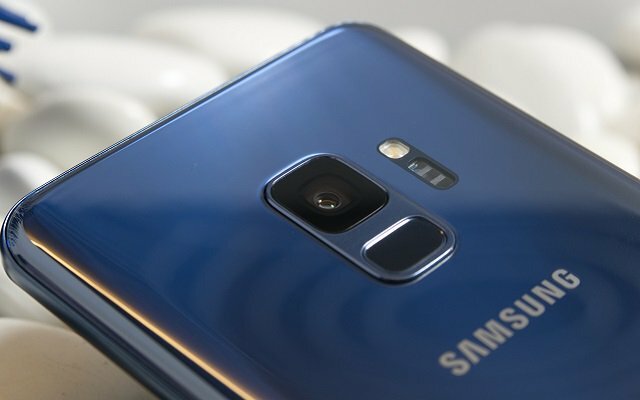 Each variant of Galaxy S10 will offer a different number of cameras. However, the Galaxy S10 5G Variant will be the most expensive version.